Offering a warm welcome and affordable holiday, Chycarne is a traditional Cornish farm, built in the 17th century and situated in an area of outstanding natural beauty and the Cornish Mining World Heritage Site. South facing and set in six acres of grounds with truly magnificent panoramic views over the surrounding unspoilt countryside and beyond to Mounts Bay from the Lizard to Penzance. Nestling on the side of Tregonning Hill, Chycarne Farm is a unique and beautiful retreat from the rest of the world. Each season has something to offer here. Being so far south, the warm sun and mild climate produce sub-tropical vegetation. Wild flowers grow in profusion along the stone wall hedges in Spring and Summer. In the Autumn and Winter the heathers, gorse and bracken form a carpet of colour on the hillsides. Surrounded by peaceful gardens and paddocks, where you can sit and relax and enjoy the unique atmosphere and views. Towan at Chycarne Farm is a ground floor, one bedroom cottage with country and distant sea views, situated on the end of a block of three cottages. It is accessed from a gravel path up two steps. Fully refurbished in 2013, it is presented to high standards and has the benefit of a 5' double bed in the bedroom. Ground Floor only: Kitchen, living area with a table and 2 chairs and two comfortable recliner chairs with footstools, modern fitted bath with shower over and WC, bedroom with 5' double bed with fitted wardrobe and dressing table. Exterior: Garden furniture is available immediately outside the cottage and in addition you have access to the shared grounds of Chycarne, including a giant chess set and play equipment for younger children. The views from around the site are dramatic. There is an enclosed dog walking field on site. Heating is via night storage and electric heaters. The kitchen has a freestanding electric cooker & hob, microwave, kettle, toaster, fridge with freezer compartment. The living area has a TV with DVD & CD player. There is WiFi available. This is an iron and ironing board available. There is an on site laundrette with coin operated washing machine and tumble drier. Electricity, bed linen and towels are included. There is off road parking available for 1 car with further space available for trailers etc. Two well behaved dogs (more at the discretion of the owner) are permitted at the property at the extra charge of £25 per dog per week, although please remember you cannot leave dogs unattended in the property alone. Regrettably no smoking is allowed. A highchair can be made available upon request. Chycarne is only 1.5 miles from the beautiful beach and surf at Praa Sands and about the same distance from Rinsey's rocky cove (NT). Prussia Cove film set for 'Ladies in Lavender' and Godolphin House (NT) of 'Poldark' fame, are nearby. Four miles away is the market town of Helston, full of Cornish history and tradition, with it's Furry dance in early May. For children of all ages there is Flambards Theme Park next to Culdrose Air Base famous for many air sea rescue missions. There are sights to be seen around Goonhilly Earth station where the large dish Arthur is now a listed building. Try your hand at riding a 2 wheeled Segway. These together with the Seal Sanctuary at Gweek and the nearby coastal village of Porthleven provide any holidaymaker with a wealth of interesting visits. Only 7.5 miles away is the lively town of Penzance where trips to the Isles of Scilly can be taken by helicopter or ferry. St Ives is only 14 miles away on the north coast with its beautiful bays and artistic areas. Chycarne is central for the areas and villages of the Lizard, Helford, Land's End and Mousehole. Facilities for golf, sailing, course and sea fishing are all available within two miles. You can take country and coastal walks or visit local country pubs for well priced meals or shop in the local super stores at Helston and Penzance. There are a wealth of gardens to explore. The mines at Lelant, Geevor, Bottalack and Poldark are a short drive away. The Minack Theatre and Porthcurno beach are well worth a visit. There are world famous art galleries at St Ives and Newlyn. Booked a last minute holiday and struggled to find a pet friendly location that wasnt crazy prices for summer . Found Towan cottage and pet friendly so booked. Space very well laid out compact lounge/ kitchen but everything worked well. Great bathroom /shower and bedroom. Remote location but very peaceful and good views . About 10 mins drive to Praa sands and 15 mins to Porthleven( great choice of restaurants ) If you want a peaceful , good value for money escape for 2.. or 3 with dog ! and dont mind the drive you cant go wrong here. Guest from Hatfield stayed for 7 nights. Guest from Flintshire , Clwyd stayed for 3 nights. It was really lovely to come back to Cornwall again, We stayed here last year in the Tre cottage and loved it then so came back. And to celebrate a birthday and anniversary too. The new cottage we stayed at was modern cosy and Everything is so local and nearby and plenty to do and see. Its lovely to see the different type of properties there are available at Cornwall cottages. Owners are very helpful and understanding. accommodating and friendly. We will come back again. Guest from Fareham stayed for 7 nights. Overall a lovely place to relax, peaceful and quiet. Clean, comfortable accommodation. A little disappointed that the end property didn't have a sea view from our window's , ( which we were expecting ). Guest from Brixham stayed for 6 nights. Had really good weather-which always helps. Cottage was cosy, quiet and clean. Potentially quite a lot of other guests and Oli, the really very helpful manager, seems to be on site a large amount of the time. only suggestion would be to upgrade bedlinen. Guest from Lincoln stayed for 4 nights. A nice cottage that was well located for our week away from work. The cottage appeared to have been recently renovated and was neat and tidy. Guest from Crewe stayed for 5 nights. The cottage is in a wonderful location, great views. Oliver was very helpful. we were very happy with the cottage clean, neat & tidy. easy to get to all the tourist destinations in the area. we will come again. Guest from Erlangen stayed for 7 nights. 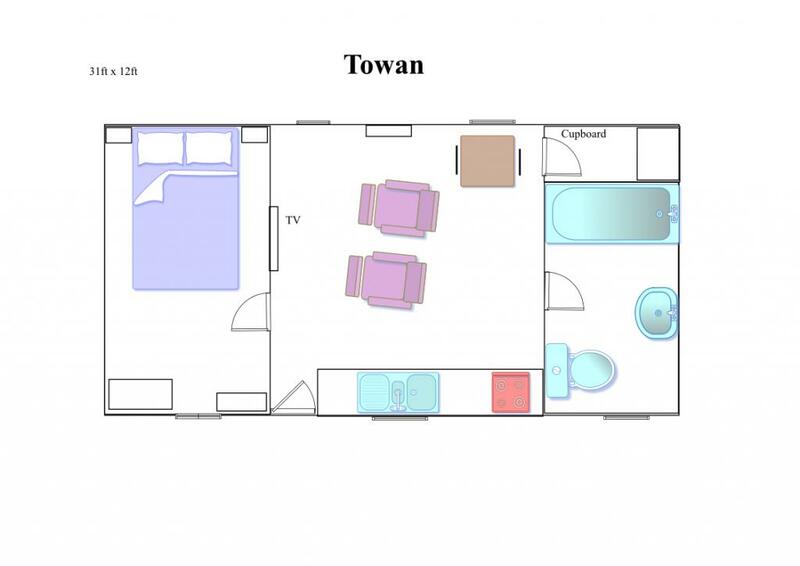 Towan at Chycarne Farm is a beautiful barn conversion with modern and comfortable interior and equipment. The owner welcomed us and our dogs after our late arrival. The cottage was very clean and had everything you needed. In case of questions you get a quick response. Also a large dog playground was available. They loved it! From the kitchen window and the bench in front of the cottage you have a beautiful distant seaview. The whole area and the garden are a little paradise. We will come back!!! Guest from Hemiksem stayed for 7 nights. We last visited the cottages some 30 years ago and they did not disappoint ,we had a lovely time the cottage we stayed in was of a high standard the location for visiting locations in Cornwall is ideal and the owners were on hand to answer any questions we had , we would recommend a stay at chycarne farm cottages. Guest from Hounslow stayed for 3 nights. We travelled from London over the May bank holiday weekend. It was a very pleasant stay and Oliver was brilliant at communication and the poor chap even had to wake up at the middle of the night to so us in as we were stuck in the M5 traffic for hours. We were at the property for 3 days and the stay has been very pleasant. The property is located close to the beach but turned out to be a bit difficult to find for us, probably because we reached at 2 o'clock in the morning and also the postcode doesn't really take you to the property directly. Its a London thing I guess, we are just too used to finding the exact address from the post code and house number. Nonetheless, Oliver was very helpful and probably either stayed awake or woke up for us to let us in at that dead hour. We didn't really spend much time in the property but there was no problem at all with any of the facilities provided. Breakfast outside the cottage on the bench was a pleasant experience, especially for people like us who don't get to see much of greenery and sky and openness. Perfect for a couple or a small family. One thing to note, may be the living area should have a bit bigger TV and a small sofa rather than the 2 chairs provided. The chairs are good but a sofa would have been more comfortable. Also, please consider providing an option for guests to connect their own devices to play music or videos via the TV?! Just a thought. Guest from Dudley stayed for 4 nights. Had a great time again at this lovely cottage, we stayed here 2 years ago and on returning this October we found the Towan to be just as cosy & well maintained as the first time we visited, we shall be back! Guest from Farnborough stayed for 7 nights. This is now the second cottage we have stayed in at Chycarne Farm and both have been beautifully fitted out. They are in a great location, being close to the north, south and west coasts, with Praa Sands being a 10 minute drive away. The cottage was warm and cosy with a very comfortable bed. You need a car as the farm is in a quiet, rural location, but this adds to the enjoyment. The only things I feel are missing are some of the basics, such as toilet rolls, or a couple of groceries (first cottage I've stayed in that hasn't had supply of tea, coffee, sugar etc), but as long as you know this beforehand, then you can go shopping first. Will definitely go back. our week started from Sunday to Sunday which meant the roads from the midlands were not so busy. Cottage was pristine when we arrived.looked brand new inside.Fresh flowers on the table. Wi fi fast and easy to log into. plenty of hot water. friendly and helpful owner. We had problem with the toaster and a new one was supplied the same day. Pretty, well tended and quiet garden was relaxing. Would definitely return. Small cottage with a modern interior, very clean. Lovely location in the countryside with great views and local walks, although it was too far to walk to the beach. Easy drive to Marazion and St Ives. Guest from Theale stayed for 7 nights. We know the area well but never stayed here before, immaculate cottage with the owners paying great attention to detail even providing kitchen cloths and cleaning materials, very comfortable throughout and clean, set in lovely gardens, highly recommend! Guest from Driffield stayed for 7 nights. I thought Towan was very good for my purpose, namely to be a base for my wanderings in the area. I was returning to the places of my childhood. The accommodation is very clean and modern, simply laid out and everything easy to use. Read the manual to use the TV! Always a good idea to read the instructions first, how many of us do? The shower head has the potential to remove a toe. Bed very comfortable, bit on the firm side but I slept well, and I'm not a good sleeper. All very quiet. Could do with some decent sized cereal bowls and some decent sized mugs. The only negative for me was that it all felt rather sterile, by that I mean characterless. However, that said for what I needed at the time it suited me very well. I hope to return. A lovely area, much changed in many ways over 60 years but to me the essence of it all was still very much there. Guest from Dawlish stayed for 4 nights. Very peaceful and beautiful location and property, didn't hear a single thing from neighbours or passing traffic. Comfortable bed and everything required for a weeks stay was provided. Guest from Henfield stayed for 7 nights. Perfect place to stay,spotlessly clean,very peaceful location.lovely owners really friendly and helpful. would definitely stay again. Recommended to friends and family.